ForexNewsNow – Signal Trader is a leading automated trading technology company that provides automated trading solutions for trading clients globally, allowing them to track and replicate the trading patterns of professional traders and market experts. Traders using the services provided by SignalTrader will have the option to mirror the trades of high-profile market specialists that actively trade and generate huge profits on a daily basis. The services offered by the company are mostly recommended to new traders but the features available make them attractive to experienced traders too. Check this Signal Trader review for more info. 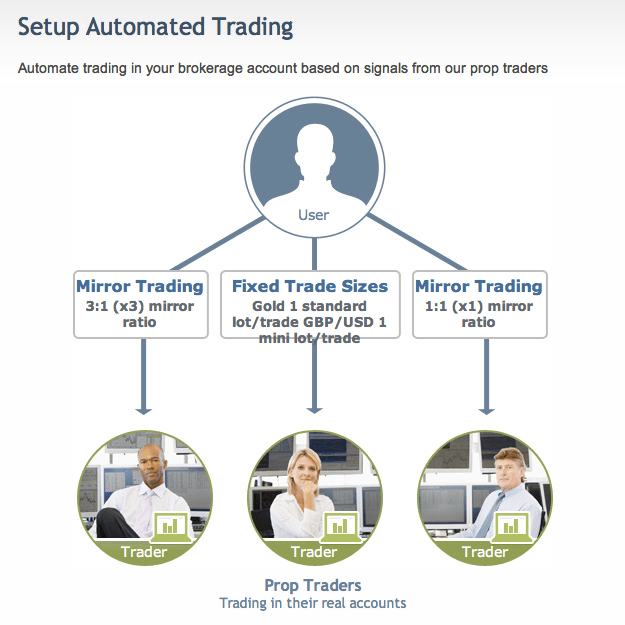 Signal Trader allows traders to replicate the actions of experienced market professionals. The software employed by the company will automatically follow the actions of selected professionals and replicate their moves. Traders will also be able to customize the automated software based on preference and trading habits. The traders who are followed by the software are real professionals who make a living from online trading. The success rates of the followed traders is around 80% meaning a significant amount of their trades are always profitable. So, basically using the services provided by Signal Trader will result in most traders managing to achieve large profits by virtually doing nothing other than following the actions of proven professionals in the industry. As mentioned above, the biggest advantage of the forex auto trading service provided by Signal Trader is the fact that it will allow traders to earn passive income virtually without doing much work. Naturally, negative trades will always be recorded but overall over longer periods of time traders will manage to achieve good results. This is also a great way for new traders to learn trading online. Most new traders usually have a hard time understanding the movements of some assets. Closely watching the actions taken by online trading professionals new traders will be able to understand the complex mechanics of online trading. However one of the negative sides of this service might be the fact that it might determine traders to rely too much on automation and decisions taken by other people. Of course, there is always the possibility that a trader being followed could make a series of mistakes leading to large losses as always. There is also the possibility of traders becoming too comfortable and not being cautious enough regarding the risks they are taking with their investments. Still, the positive aspects of this service outweigh the possible negative sides. The general rule traders should remember is that they should always closely watch the actions taken by the automated software so that they could learn how to trade on their own without the help of other people. Possibly a large negative aspect of the services provided is the difficulty of understanding the software platform. When we reviewed the services it took us quite some time until we understood all the functionalities. 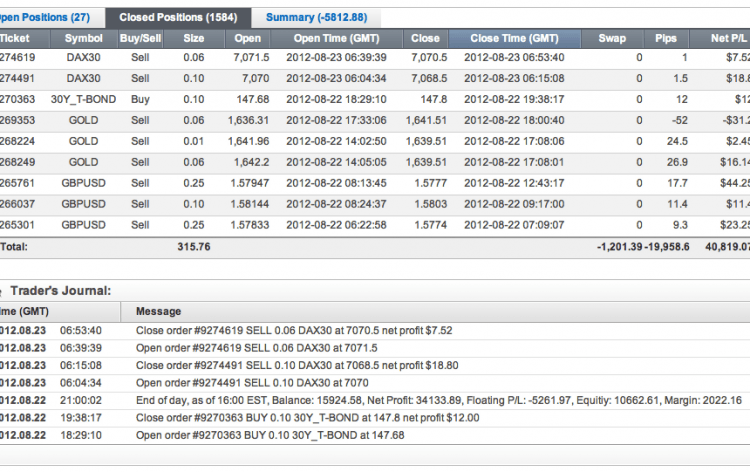 And this happens quite rarely since we consider ourselves to be quite experienced in the online trading world. Still, we don’t want to blow this out of proportions and claim that the interface and usability of Signal Trader is bad. It’s just not perfect but it serves the purpose for which it was created very well. Once you spend some minutes browsing around the platform everything will become very intuitive and you won’t even notice that something seems to be off. As explained, Signal Trader functions on the basis that it allows traders to mirror the actions taken by true professionals and market experts. As such, traders will be given the option to follow a certain number of features professionals. Looking closely at these professionals one will recognize immediately that they are real people with real trades executed. All the partners that can be mirrored have trading records that show that in overall they always manage to create profits from the actions they take. There are no costs associated to opening and running a live real money Signal Trader account. Traders will however be asked to make an initial deposit of at least $3,000 in order to use a newly registered live account. Traders will also have to pay a fee of $99 in order to be able to use the Signal Service Plan which is a service that will offer signal alerts via email and enable traders to access the live trading rooms. 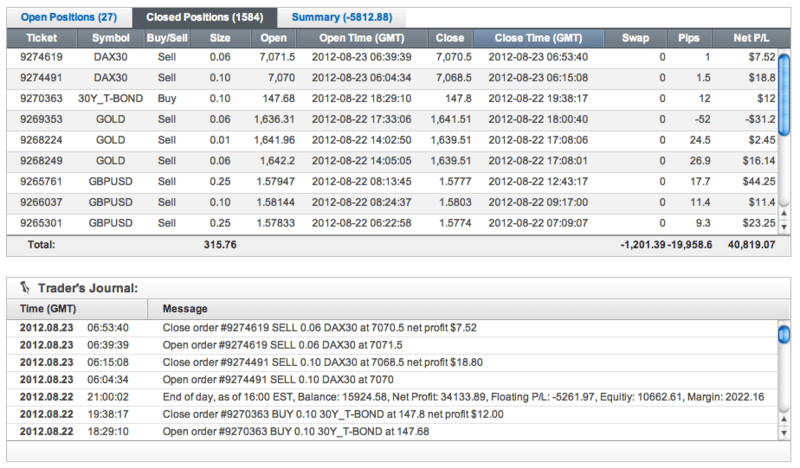 Signal Trader offers great automated trading possibilities. The only downside of the platform is its mediocre interface but this can overcome very quickly by spending some time familiarizing itself with the platform. The company also collaborates with a large number of regulated and licensed auto trading forex brokers where the professionals tracked by the software operate. In short, the services offered by Signal Trader offer a great opportunity to both new and old traders to generate easy profits.